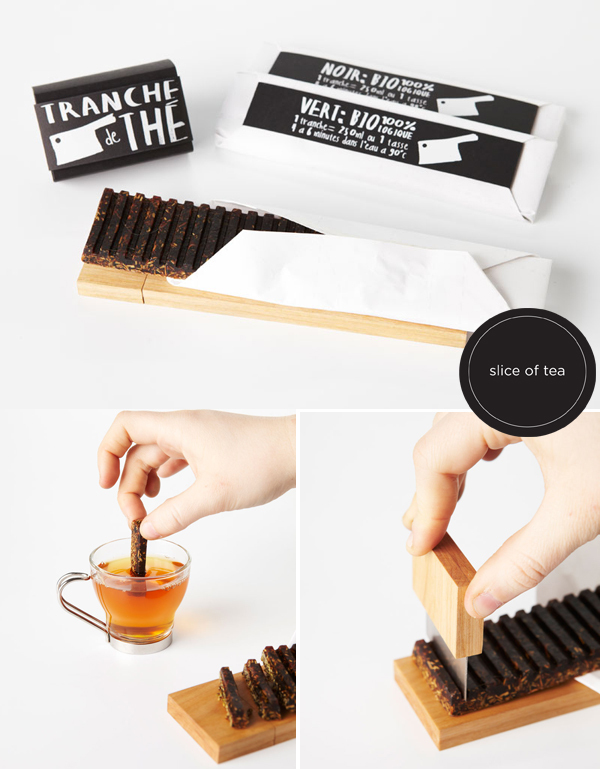 This 'Slice of Tea' designed by Anne Ouellette for a student project is such a clever idea. Something that allows you to say "a slice of tea" is brilliant! That's really fantastic celever, I love Them! Oh how smart! I wonder if the tea would last longer like that and preserve it's flavor better? Except I look at it, and all I want is chocolate! I love the French word for slice..."tranche". So fun to see it here. Very cool idea and great packaging! Very creative which requiers a revision of tea serving. Creativity.